The chief minister, accompanied by Health Minister K K Shylaja, met 30-year-old Madhu's mother, sister and other relatives and gave them the assurance. 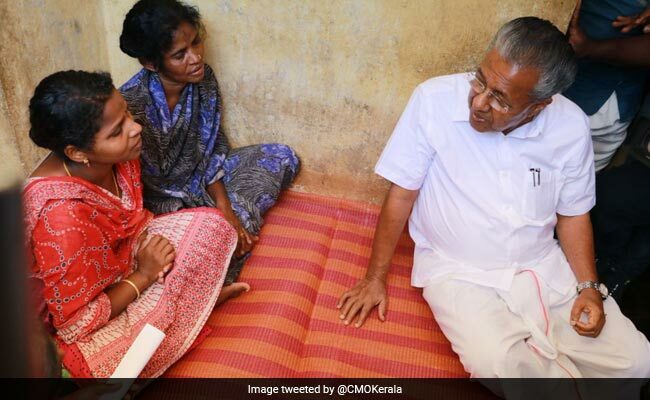 Attapady, Kerala: Kerala Chief Minister Pinarayi Vijayan today visited the home of the tribal man, who was lynched here last month for allegedly stealing food articles, and assured his family that stringent action would be taken against the accused. At least 16 persons have so far been arrested on charges of lynching the mentally challenged man, whose death had recently triggered outrage in Kerala. In a Facebook post, Mr Vijayan said he visited Madhu's house, consoled his relatives and assured them that the probe in the case was going ahead and the government would take all steps to ensure that the accused get the punishment as per the law. Stringent action would be taken against those indulging in malicious propaganda in the social media, he said. The chief minister also held discussions with government officials on providing facilities for the tribals. Later talking to reporters, Mr Vijayan said the government would take all steps to ensure that tribals in all districts get enough food, drinking water and employment opportunities. District Collectors would ensure this in their respective areas, he said. The government has also decided to ensure that tribals get at least 200 days of employment, he said. As tribals are facing severe problems relating to liquor addiction, a massive awareness drive would be held in such areas, the chief minister said. A de-addition centre would be set up and a disability census would be held here, he said, adding care homes would be set up to look after mentally-challenged persons. Community kitchens were being planned in the tribal areas and Rs 10 crore would be set apart for the purpose, he said.